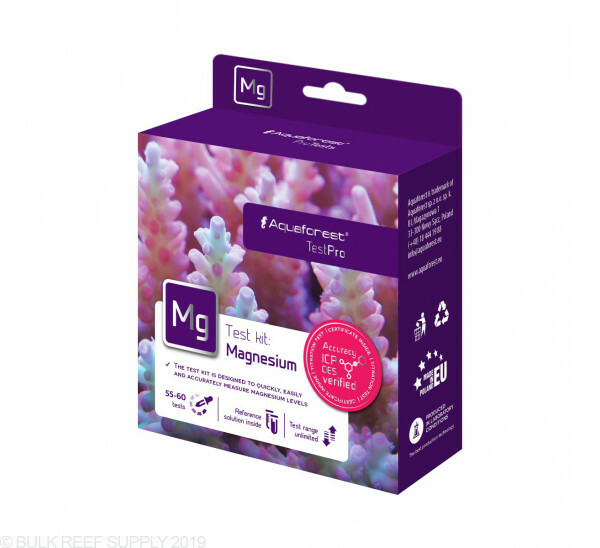 Aquaforest marine test kits are designed to quickly and accurately measure the concentration of magnesium in reef tanks and other marine environments. As corals grow, they intake calcium and carbonate ions and through a biological process forming their hard skeletons and magnesium is required to keep a super-saturated level of calcium and carbonates in solution. If you find you are having trouble keeping your alkalinity or calcium levels where you want them, you may be low on magnesium and magnesium to recommended levels will help keep those in solution. 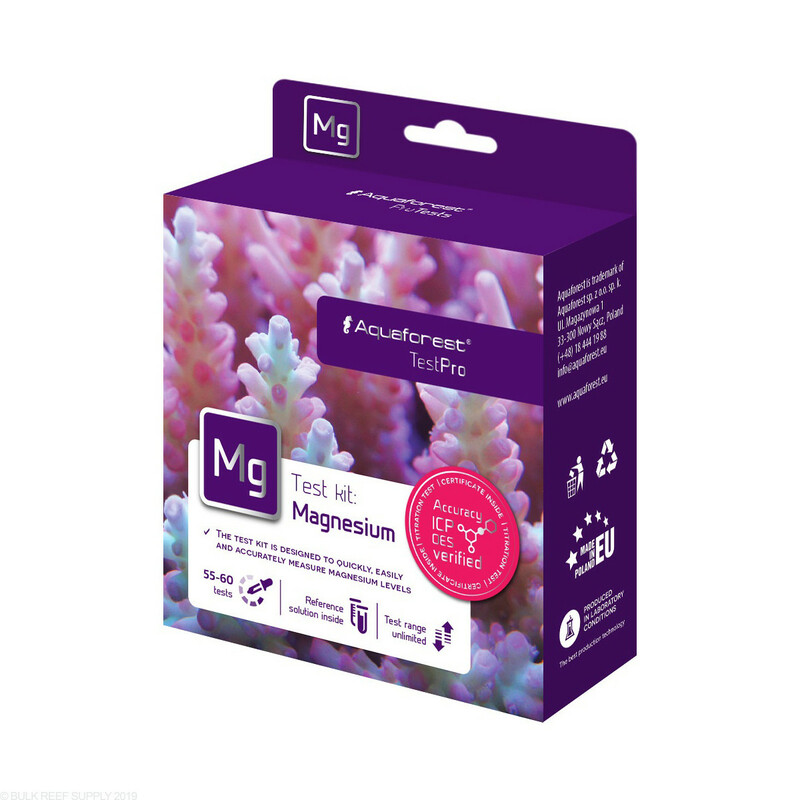 Regular testing of magnesium is significant for any saltwater tank, especially in coral reef tanks along with alkalinity and calcium levels. I've used it a couple of times and it gets easier. Bc it's a new method of testing for me, it seemed like it took a while, but it's accurate and fairly simple. I was originally using elos and the results came out the same. This kit seems to be really good. Easy to read the color change. But, between leaky bottles, and a very hard to read Ca test. I will not select AF again for my testing needs. I will stick with Salifert. I have run side by side tests with Aquaforest and other brands. They are spot on results! The biggest plus to these is they come with a reference solution so you know if your test is correct and or if your doing the test correctly.